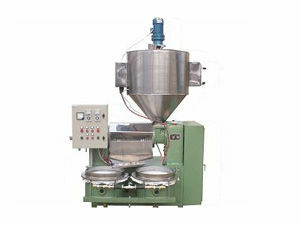 The auomatic oil press with fryer is an advanced model from oil press without fryer. It also includes fryer besides filters, heater, and control cabinet.It also includes fryer besides filter, heater, and control cabinet. The fryer is helpful for the higher oil output. 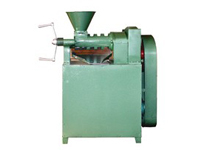 This type automatic oil press is widely used in small oil production line and even individual oil processing at home. Our new automatic oil press with fryer keeps big capacity and at the same time has greatly improved the oil extraction rate. Apart from that, the application of automatic heating pipe and vacuum filtering barrels can make the extracted crude oil clean at one time of filter, which make it more efficient. The expeller press can clean pressed the raw material one time at hot press and twice at cold press. Don't hesitate to contact us whenever you are prone to buy any model of oil press machine, no matter automatic oil press with fryer or without fryer. 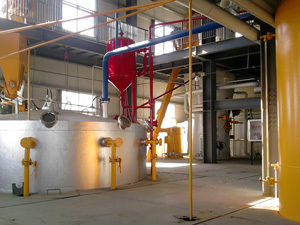 We also offer complete set of oil processing plants with different capacities. Welcome to email us!